I exhibited three paintings and painted a “LIVE” model for **O.C. 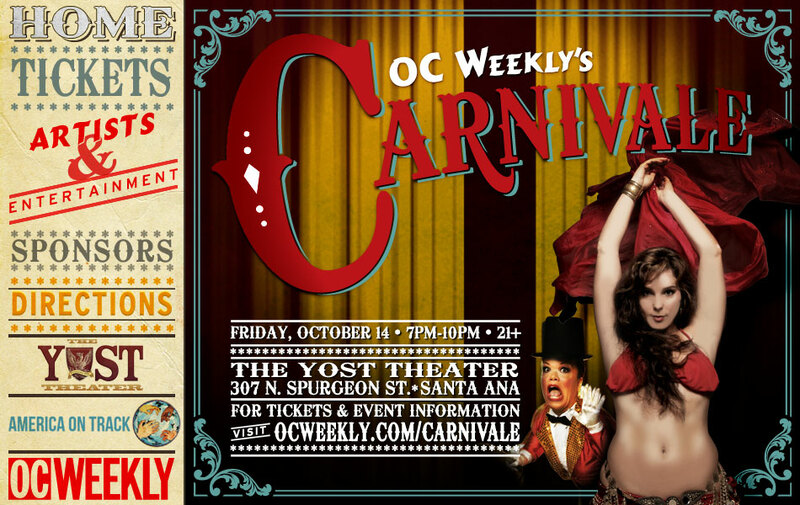 Weekly’s “CARNIVALE”** Friday, October 14, 2011 7pm until 10pm at The “YOST THEATER” in Santa Ana, Ca. at 307 N. Spurgeon st. Santa Ana, Ca. Holy get down!! !